The CyberLaw Program, International Cybersecurity Research Center, Hebrew University and The Cyber, Law and Policy Center Haifa University invite papers for the conference Cyber Challenges to International Human Rights on December 11-12, 2017. In recent years, the digital ecosystem has become an arena for hostile cyber activities on the part of states, terror organizations and independent or semi-independent hackers, affecting the interests of individuals, organizations and states. At the same, powerful public and private entities are able to exercise broad powers of surveillance, information collection and manipulation of software and hardware, and can utilize such powers for nefarious ends. This emerging scene, which is under-regulated, creates new threats to civil liberties and human rights. Can existing international law and domestic law instruments and institutions sufficiently address the new threats to civil liberties and human rights? More details can be found here. 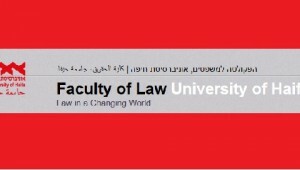 Selected papers will be offered publication in a symposium issue of the Israel Law Review. Proposals should be submitted to the Academic Committee at hcsrcl[@]gmail.com, with the applicant’s name, affiliation, phone, and email information.